The well known Return and Earn container deposit scheme is reportedly making money for the beverage companies. Every month, NSW’s container deposit scheme makes more than $30 million for the nations beverage companies, The Australian reported. The scheme was set up by five of the biggest drink companies including Coca-Cola Amatil, Carlton United Breweries, Lion, Coopers and Asahi. The company is called Exchange for Cash and is run and managed by the NSW government, under the colloquial name Return and Earn. According to The Weekend Australian, there were no provisions made for what would happen to any containers returned that were not claimed by the public. In spite of this, both the QLD and ACT governments are preparing to launch similar schemes. Under the scheme, beverage companies charge customers by adding a 10-cent per unit deposit, as well as several cents to cover the cost of the scheme. 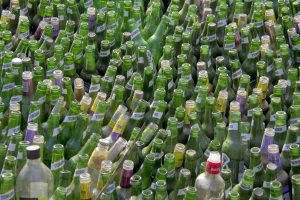 Since the scheme began, 204 million cans and bottles have been returned which averages out to be about 51 million per month. Of the average 389 million bottles and cans sold each month, only 13per cent are returned through the scheme. The other 87% that aren’t returned or refunded are kept by Exchange for Change, which gives the money back to the drink manufacturers. Only drink containers returned in a pristine condition are accepted, meaning that deposited in any other condition will result in the beverage companies making money. Waste Contractors and Recyclers Association of NSW executive director Tony Khoury said the scheme had not resulted in “any material difference” in recycling rates. Despite the program aiming to reduce litter in public places by up to 2.25 percent, but was not targeting an increase in recycling.